Businesses can do much to prepare for the impact of the many hazards they face in today’s world. Ready Business will assist your business in developing a preparedness program by providing tools to create a plan that addresses the impact of many hazards. This website and its tools utilize an “all hazards approach” and follows the program elements within National Fire Protection Association 1600, Standard on Disaster/Emergency Management and Business Continuity Programs. Every business faces unique risks and challenges. Plans and techniques that work well for one business may not work for another. 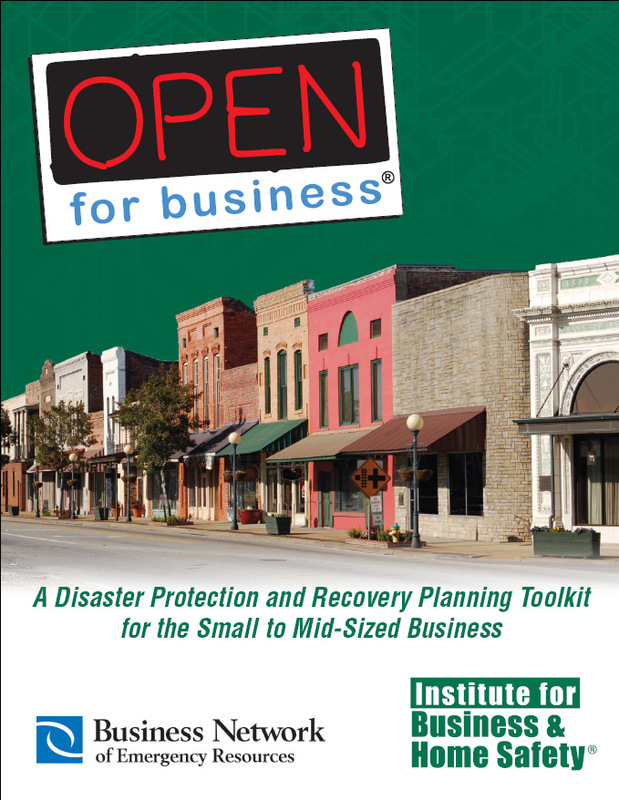 The Institute for Business and Home Safety has assembled materials to assist business in developing customized disaster preparation and recovery plans. Now available, OFB-EZ, a simplified web based toolkit. 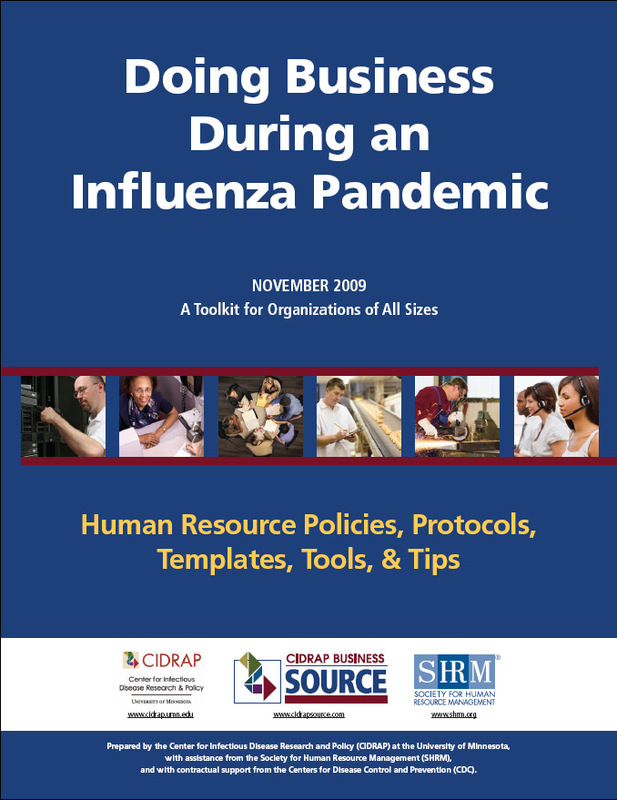 A Toolkit for Organizations of All Sizes, Prepared by the Center for Infectious Disease Research and Policy (CIDRAP), the Society for Human Resource Management (SHRM) and support from the Centers for Disease Control and Prevention (CDC).Doing Business During an Influenza Pandemic: provides Human Resource Policies, Protocols, Templates, Tools, & Tips. Ready Rating is a program that helps businesses, schools and organizations become prepared for disasters and other emergencies. All in one place, Ready Rating members have access to one-of-a-kind tools, resources and information for evaluating and improving their ability to withstand disaster, maintain operations, and protect lives and property. Whether you are taking your first steps or have a fully-functioning emergency management program, the Ready Rating program can help you achieve a higher level of preparedness.